Female figurine with three sets of chokers and necklaces. 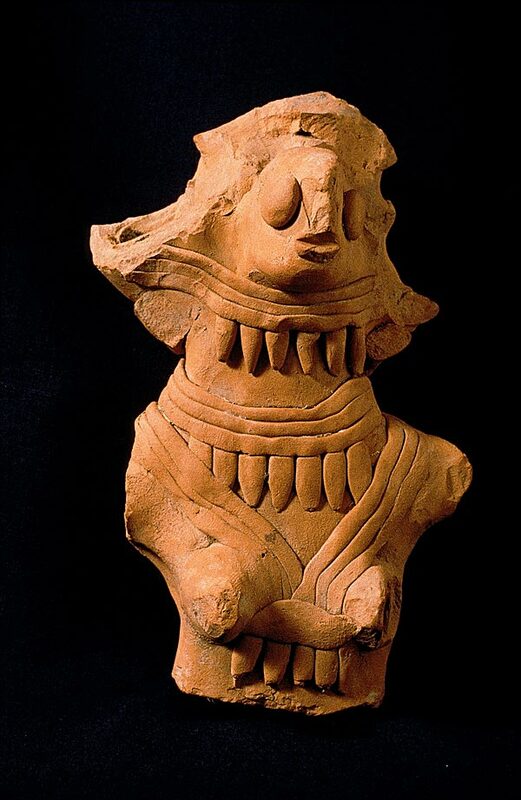 This is one of the largest female figurines found at Harappa and it has the common fan shaped headdress with cups on either side of the head. Traces of black pigment or soot have been found inside the cups, and suggest that they were filled with oil and used as a sacred lamp. On the other hand, a sooty black pigment may have been applied to depict black hair. The forward projecting face is made separately and attached to the body after all of the ornaments had been applied.